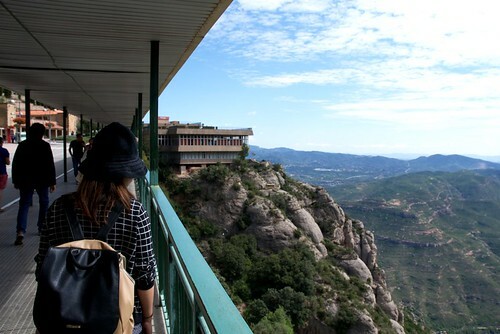 Located near Barcelona, I’ve visited the mountain of Montserrat several times. As a kid on school trip, as a hiking and climbing challenge, and more recently as a tourist. 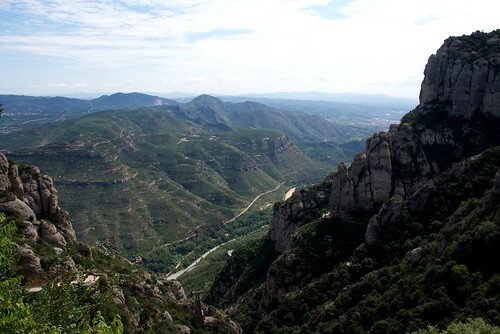 Sacred mountain and place for many legends of catalan folklore, the highest peak is St. Jeroni at 1,236m above sea level. 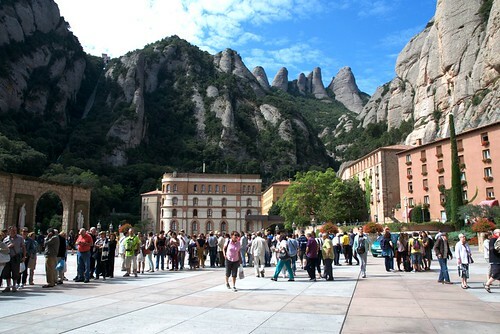 Localitzada a prop de Barcelona, he visitat en varies ocasions la muntanya de Montserrat. De nen en excursions escolars, com excursionista i escalador, i més recentment com a turista. Muntanya sagrada i lloc per a diverses llegendes del folfklore català, el cim més alt és el de Sant Jeroni, a 1,236m per sobre del nivell del mar. 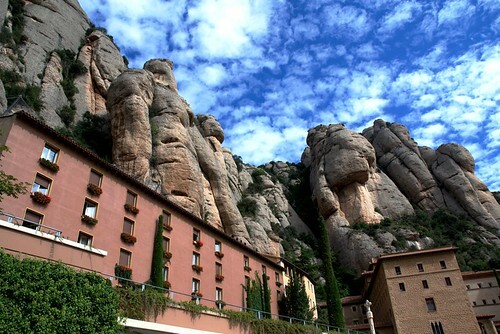 Amongst the many legends of Montserrat there are three that hold real popularity. 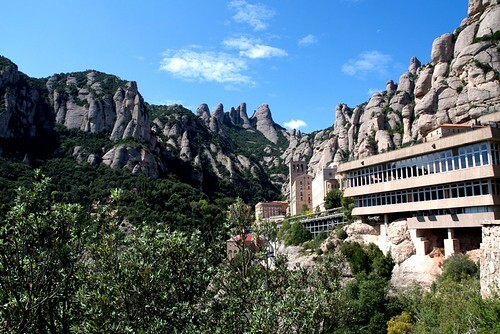 First one is that it was one of the places where the Holy Grail of the Arthurian literature was kept in the castle of Montsalvat, involving at some point the Montserrat mountain. 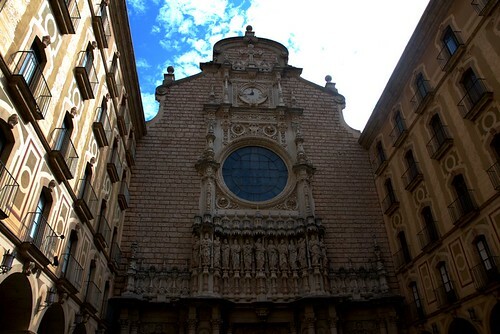 Second is the black virgin of Montserrat also known as La Moreneta. Not the one we know today, but the original. The benedictine monks couldn’t move the little statue, so they decided to build the monastery and the sanctuary around the statue. The third and more up to date legend took place in 1808, involving a young boy and his drum instrument. The French army was marching through the mountains on their way to Barcelona, but fear took them as they heard the roar of the mountain, thinking that a much bigger army was in front of them. Truth was, it was only one boy “el timbaler del Bruc” that was inside the mountain caves playing his drum instrument, echoing all over the territory. 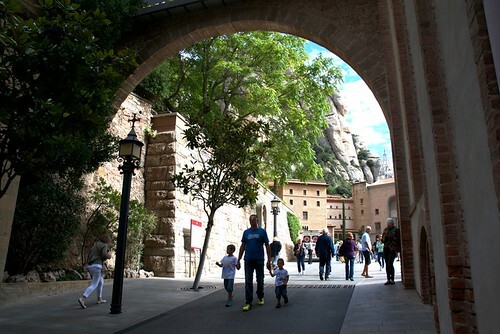 Entre los moltes llegendes de Montserrat n’hi ha tres de gran popularitat. La primera és que el Sant Grial de les llegendes de la literatura Arturiana va ser amagat dins el castell de Montsalvat, i la muntanya de Montserrat i el santuari hi eren involucrats en la llegenda. La segona, la verge de Montserrat, coneguda com la Moreneta. La original, no la versió que veiem actualment. Els monjos benedictins no van poguer moure l’estatua de la verge fosca i finalment van decidir construïr el monestir i santuari al voltant d’ella. La tercera i més actual llegenda de 1808, narra l’història d’un noi i el seu timbal. L’armada francesa marxá direcció Barcelona travessant la muntanya, quan els va envaïr la por i es van retirar desprès d’escoltar el brugit de la muntanya, pensant que davant seu hi havia un exércit molt més gran. La realitat era, que només hi havia un noi tocant el seu timbal “el timbaler del Bruc” dins les coves de la muntanya, fent que el so s’escoltés per tot el territori. Sanctuary and abbey in Montserrat, Catalunya. 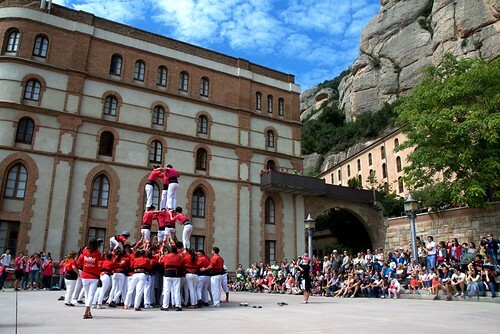 It was a coincidince that last time I went to Montserrat with a japanese friend, we found there was a casteller event taking place same day. Perfect timing, to enjoy one of the catalan culture representations in an even more catalan place. 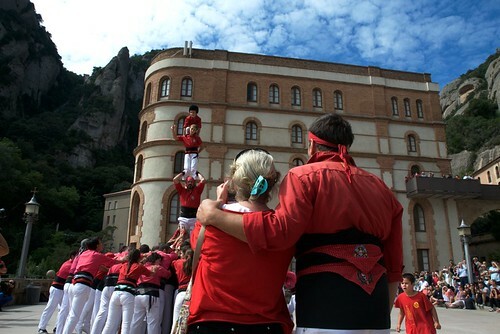 The human tower building is a tradition in many festivals around Catalonia. Declared UNESCO heritage of humanity in 2010. To sum it up quickly, is the art and tradition of building different types of human tower, accompanied by traditional music and the cooperation of dozens of people to build up the towers. 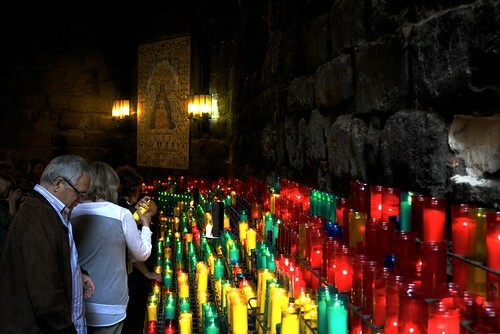 Fou una coincidencia que la carrera visita a Montserrat amb una amiga japonesa, ens vam trobar amb una jornada castellera el mateix dia. El millor moment per disfrutar d’una tradició catalana en un entorn tan representatiu de Catalunya. Tradició de festivals catalans, fou declarat patrimoni humà de la UNESCO el 2010. 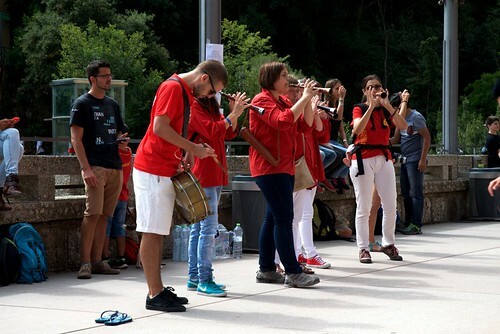 Per resumir-ho ràpidament, és l’art i tradició de construir torres humanes, acompanyats d’una orquesta tradicional i la cooperació de desenes de participants. Traditional music and instruments, Montserrat, Catalunya. 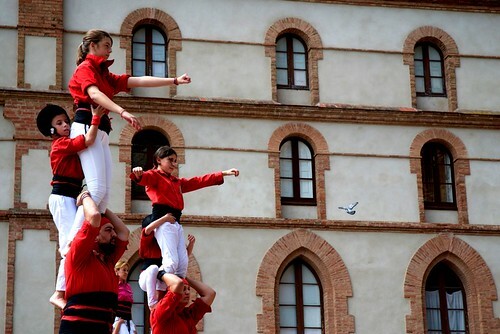 (Fly high) Castellers in Montserrat, Catalunya. On foot enjoying the nature and the hike, by car, aerial cable car, or Rack railway. Check the many services on the website visit. 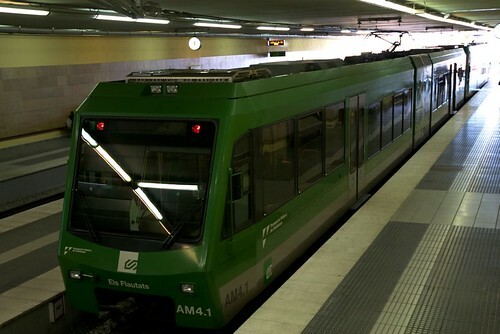 A peu discutant de la natura i l’escalada, en vehicle propi, aeri funicular o cremallera. Podeu consultar els serveis a la web visita.